A bottle of wine or a gift basket? Maybe a cake, a set of cupcakes or an Easter basket? 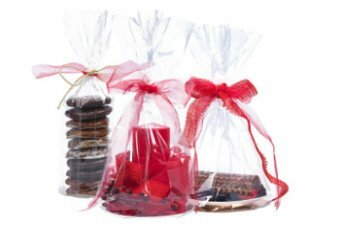 The diamond pouch is a complete packaging solution for pretty gift arrangements. Its unique shape and its name come from the double side fold of the pouch, through which it assumes a hexagonal shape - like a diamond. Thus, it can perfectly be used for the packaging of round and oval products. Optionally, your products will get an extra shine and better stability with the round bottom discs in gold/silver. Whether transparent or individually printed, the diamond pouch is available up to a maximum length of 710mm and a diameter of 200mm. pouch, through which it assumes a hexagonal shape - like a diamond. the round bottom discs in gold/silver. up to a maximum length of 710mm and a diameter of 200mm.